Class Charts hits the USA! 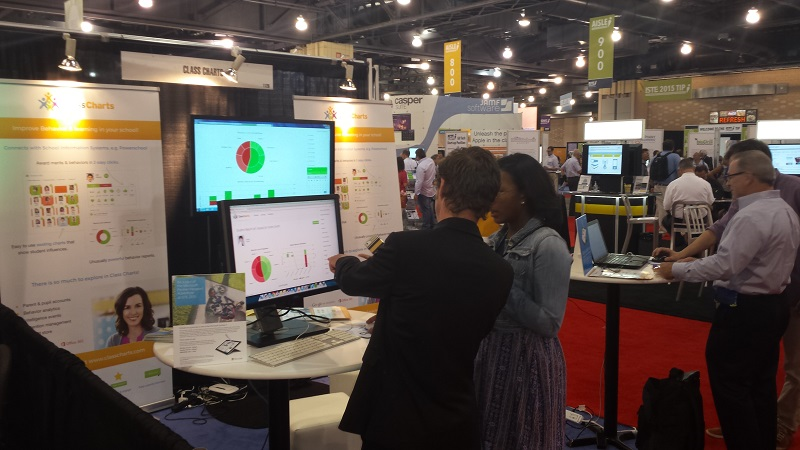 We have quite a few US schools using the seating plan and behaviour management features of Class Charts, so we headed over to ISTE 2015 in Philadelphia to show US teachers how we roll. This was the first time in the States for us and it was a real eye opener. We found the US teachers to be a really friendly bunch and learnt a great deal about how Class Charts fits in with the schools over there. Feedback was brilliantly positive with teachers and school principals getting really excited when we showed them the artificial intelligence and behaviour analysis features that we pack into Class Charts. Next year ISTE is in Denver, Colorado – we will be there!